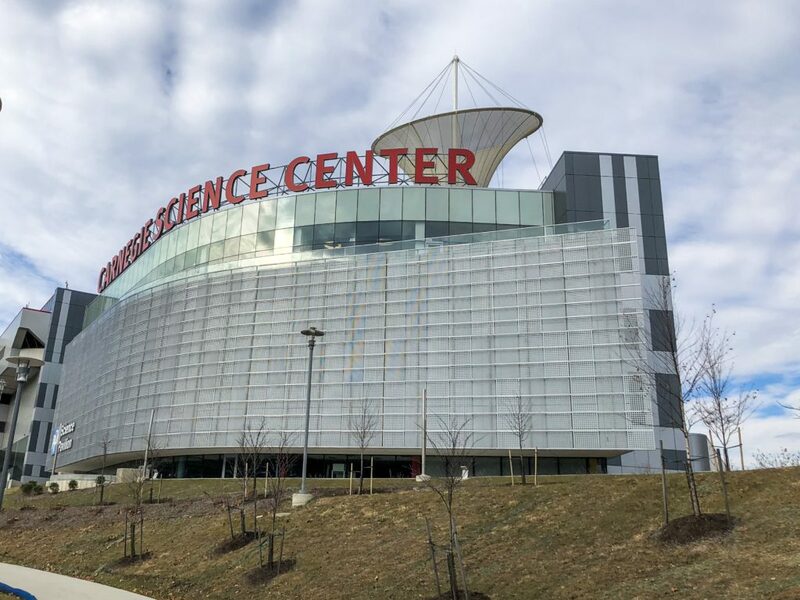 Sponsored post – Visit Pittsburgh hosted us at Carnegie Science Center. All opinions are my own. Carnegie Science Center is one of four Carnegie museums in Pittsburgh. It is located along the water front beside Heinz Field. There is parking available in several lots surrounding the Science Center. Keep in mind that the Science Center is closed on the Sundays that the Pittsburgh Steelers have a home game. The Science Center is geared toward children to allow them to explore, learn, and experiment with four floors of interactive exhibits. Popular exhibits include SportsWorks, roboworld, the USS Requin, the Rangos Giant Cinema, and Buhl Planetarium. 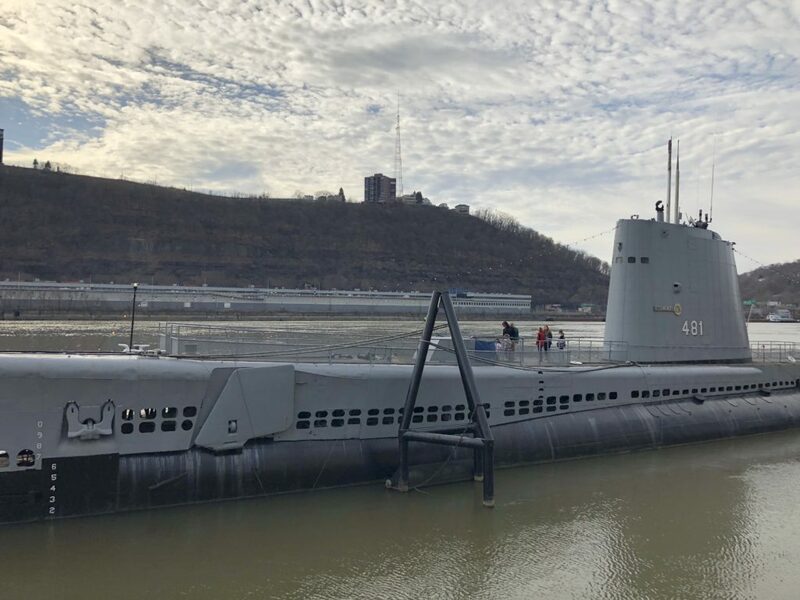 Being outside in the river, the USS Requin does have seasonal hours. It is a great addition to the Science Center, so try to visit when it is open. Check their website for details. Upon entering the Science Center, the first floor offers an exhibit about water ways and fluid dynamics. Kids can pump a 3D rain cloud to make it rain. This water table also has them playing in water and exploring how water flows around obstacles that they can move and manipulate. Heading further into the Science Center, a main attraction is roboworld. 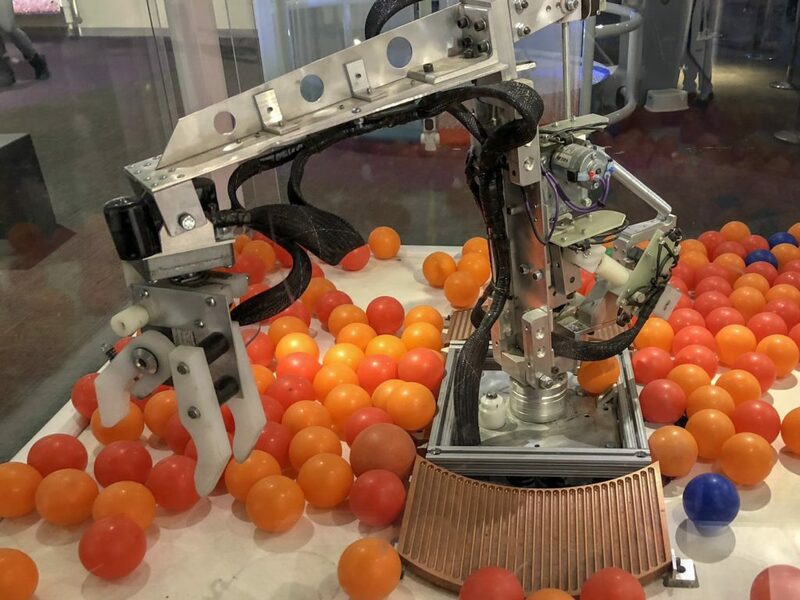 This is the largest permanent robotics exhibit in the world, and includes the ability to play air hockey with a robot to see if you can beat it. Beside the robot exhibit is the miniature train display. It’s an amazingly big display, with many trains running through it and constant movement and lights to see throughout the display. Continuing upstairs is the Little Learner’s Clubhouse. This is a special area for children who are 6 years and younger. It is a place for them to learn and explore, and it is a gated area with a staff member at the door. Inside, the favorite attraction seemed to be the fishing pond. In a small table-top pond kid’s can “fish” with magnetic poles. 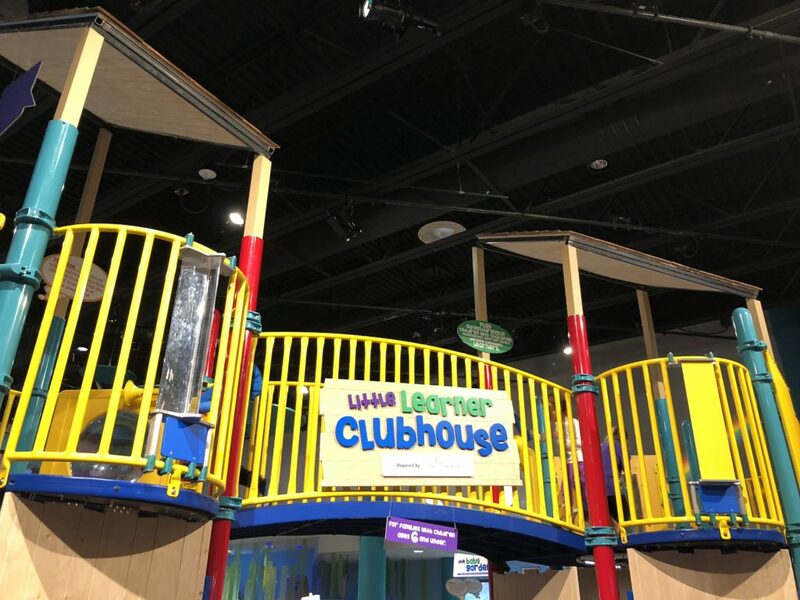 The Little Learner Clubhouse also includes a soft play area for new walkers and crawlers, as well as a small submarine for kids to play in and sit down with a book. 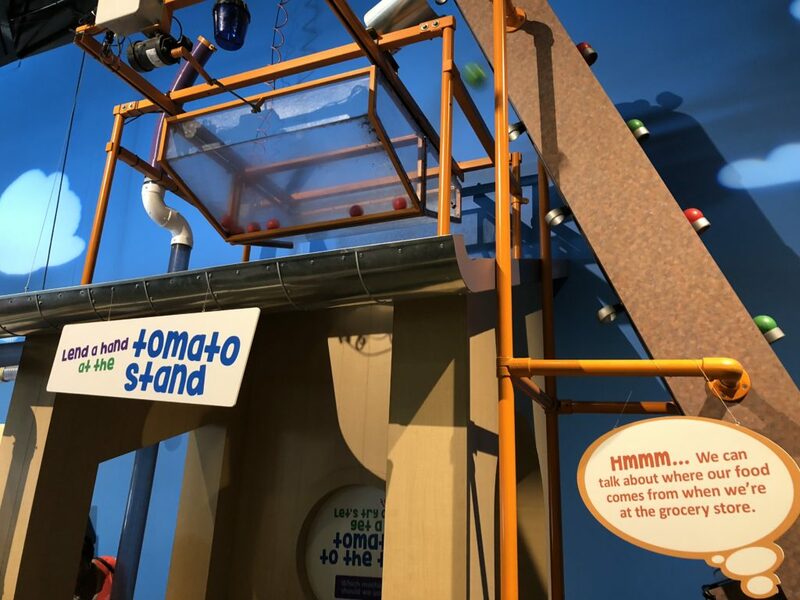 The Clubhouse itself has a climbing and overlook area, and is rounded out with an exhibit where kids can sort “tomatoes” and place them on a conveyor belt. We took a break from playing, but not from learning, by seeing a show at the Buhl planetarium. It is a high definition, full-dome experience. There are several different shows that the planetarium offers, which will take you to the far reaches of the galaxy. My 3 year old and 7 year old enjoyed it, however the 3 year old didn’t make it through the entire show. It’s easy to quickly walk out of the theater if a child gets too scared or just can’t sit still for the show. We saw plenty of toddlers and some babies watching the show. 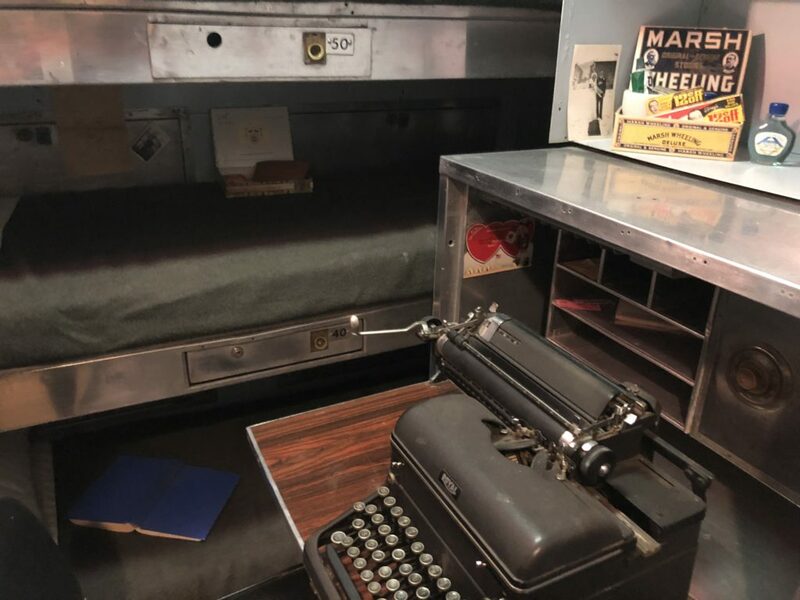 Even with all of these amazing exhibits, the highlight of our visit for the adults and the kids was the USS Requin Submarine tour. This submarine is docked right beside the Science Center. The fee for this tour is included in your Science Center admission. There are steep stairs to enter the submarine, but my 3 year old was able to navigate them with help. Once inside the submarine, it looks like time stood still. It was state-of-the-art and battle ready when it was put into use at the end of World War II. It held 80 men, which is truly impressive when considering its size. It seems massive, but having a place for everyone to eat, sleep, and work is an engineering marvel. The kids loved trying to find all of the places where beds were stored and climbing through the small openings which separated the chambers of the sub. The space inside the sub is very tight, so keep that in mind if that may bother you or your children. Please note the USS Requin is closed from January 2nd through March 1st. 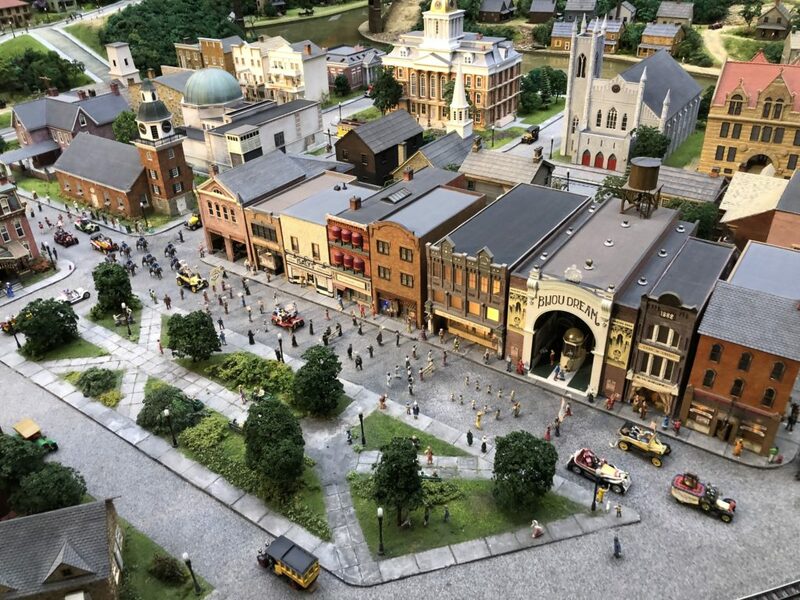 Other awesome attractions and exhibits at the Science Center include live shows, a giant cinema, SportsWorks and much more. SportsWorks with a ropes course and other physics of sports exhibits. It is in a separate, nearby location and looks amazing. We just didn’t get a chance to visit. It’s just a reason to go back!